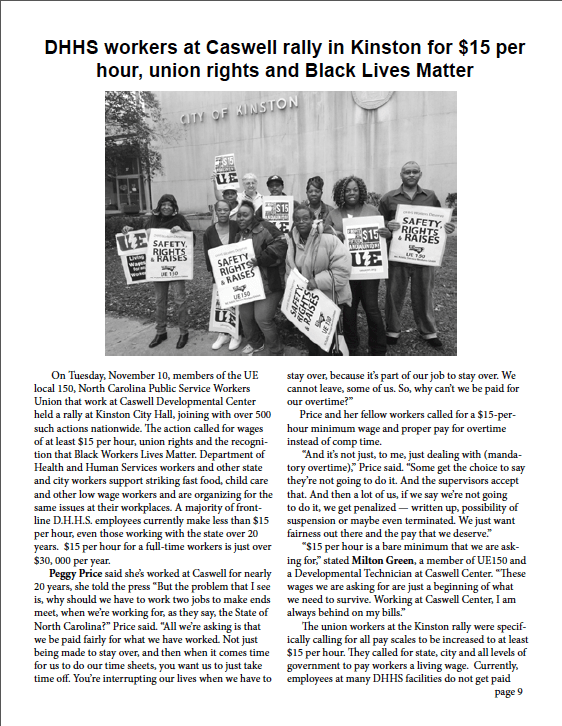 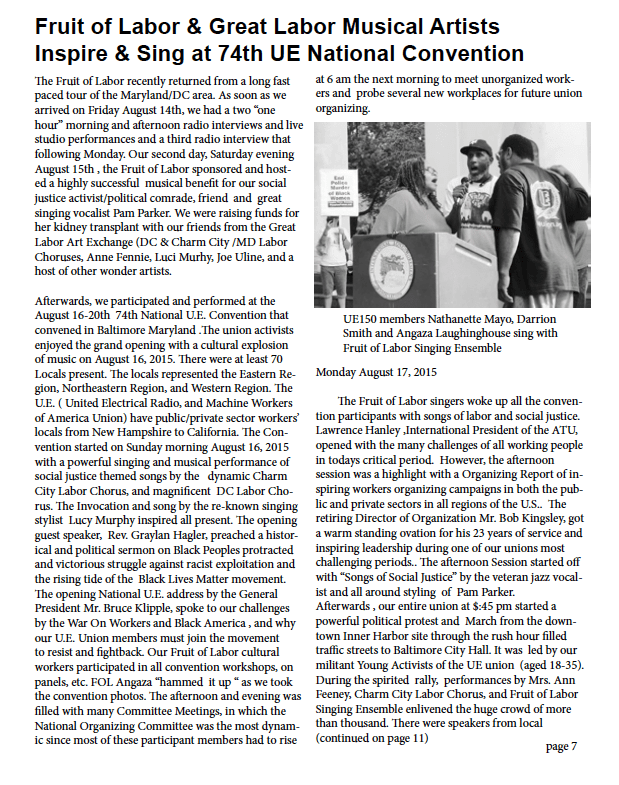 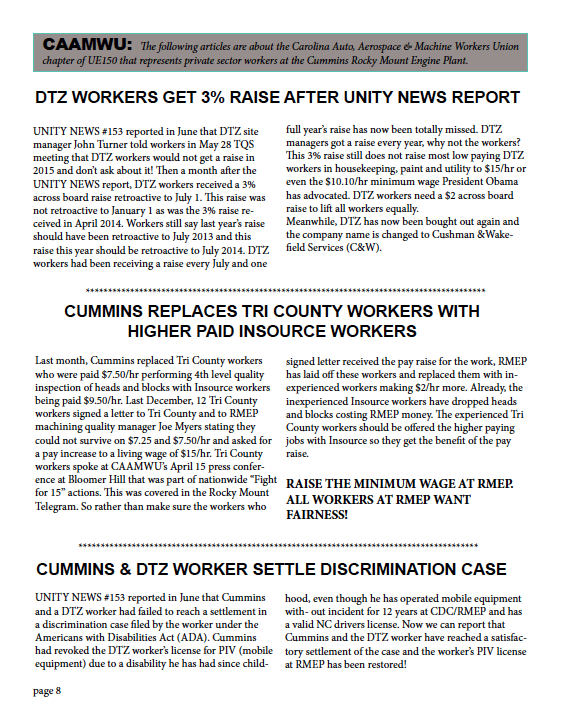 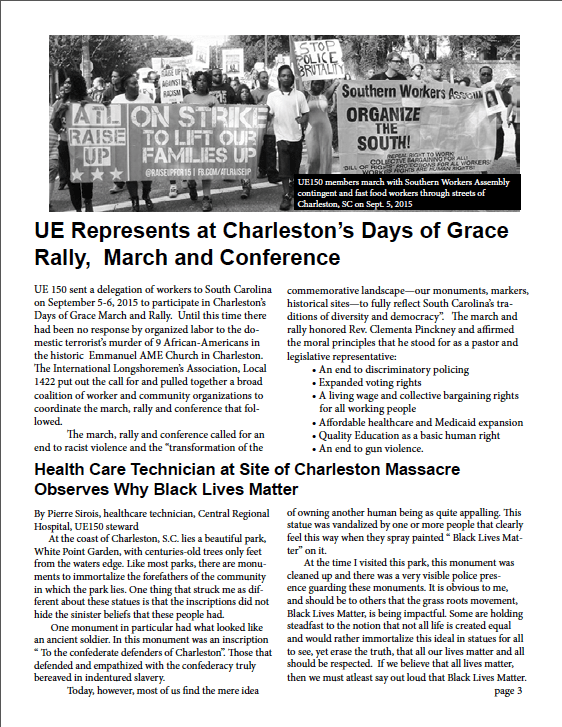 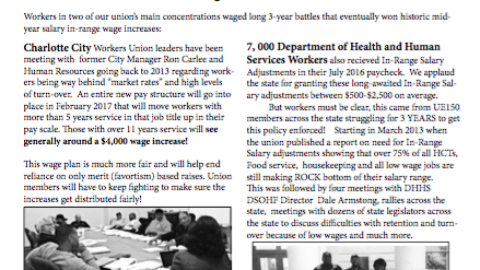 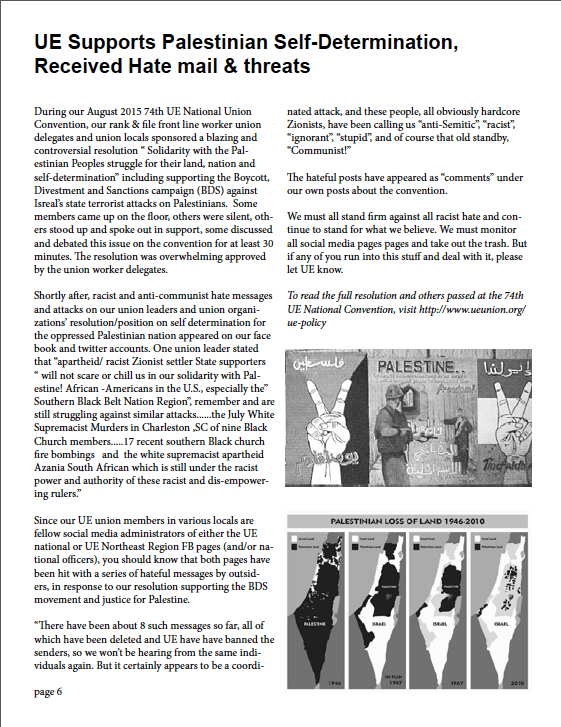 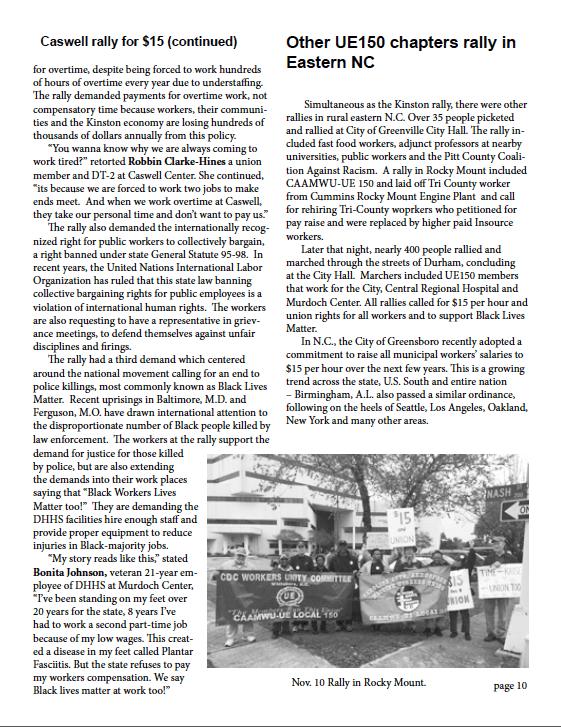 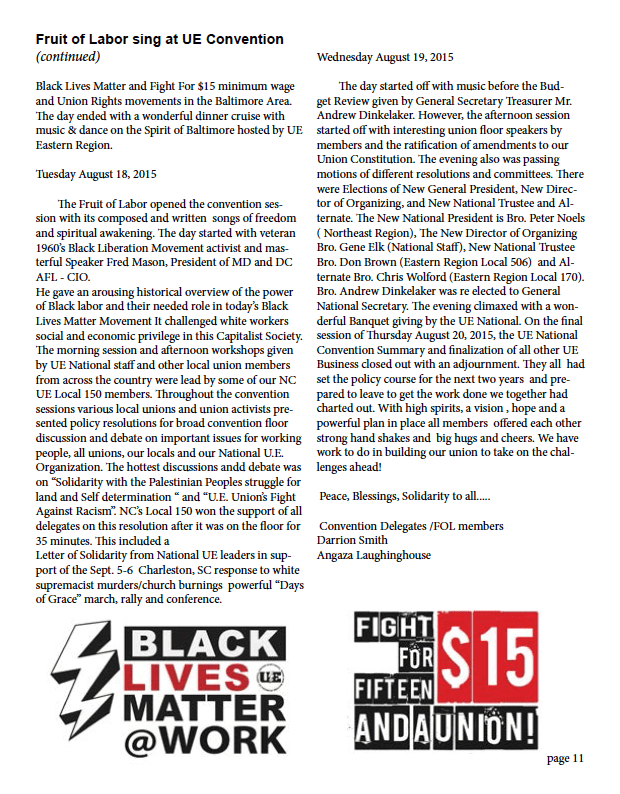 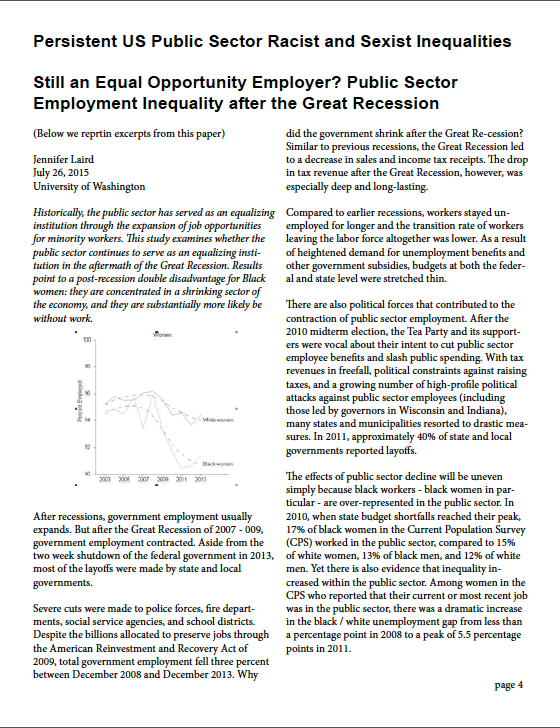 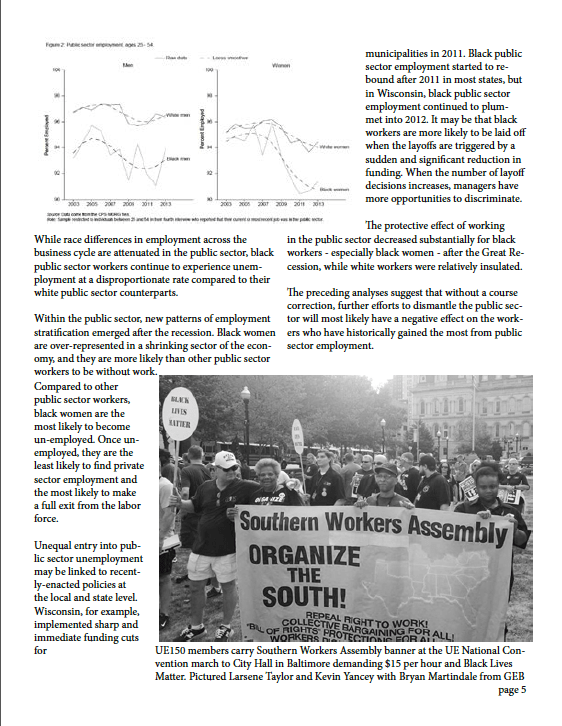 Check UE Local 150 Fall-Winter 2015 Newsletter below. 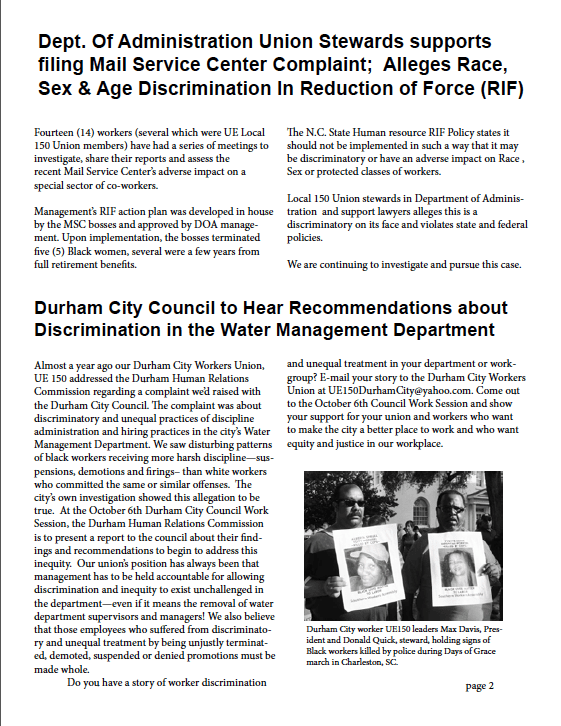 Click below to read individual pages. 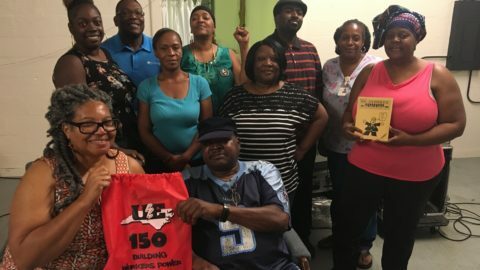 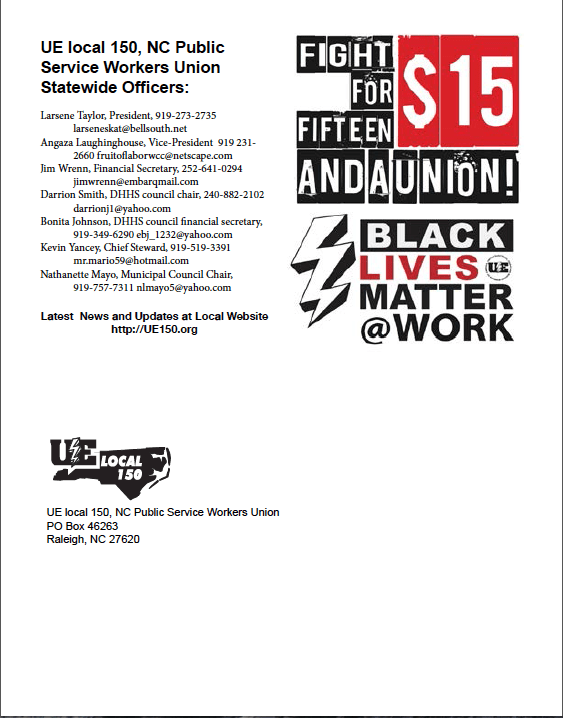 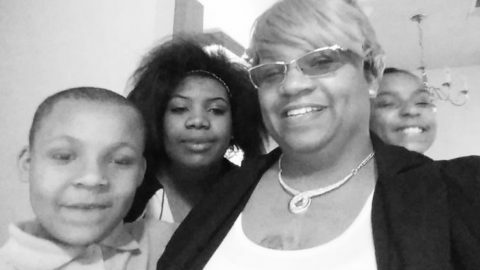 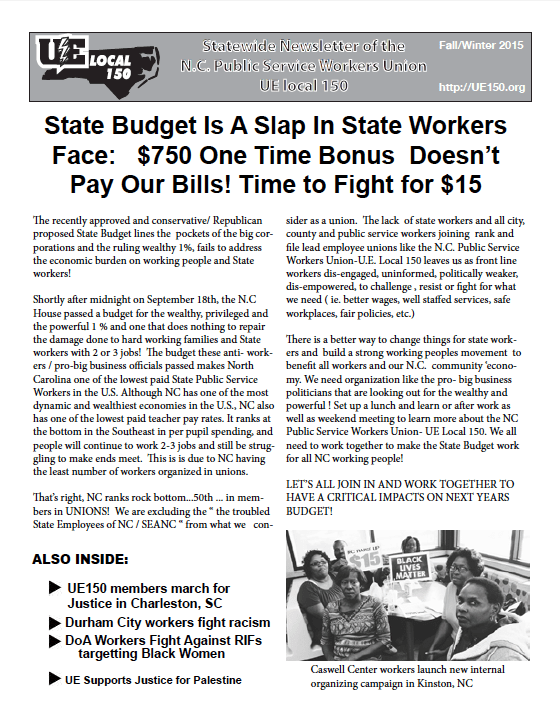 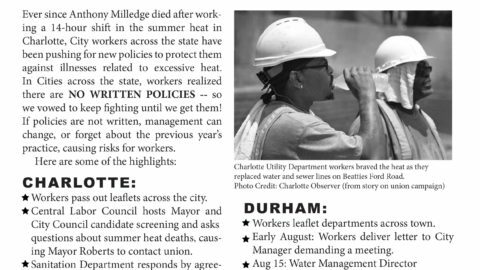 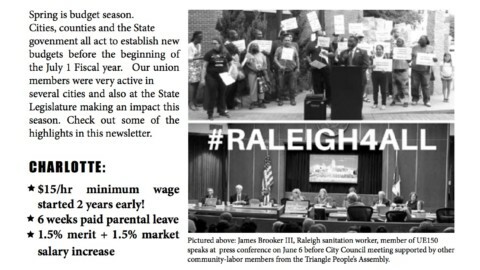 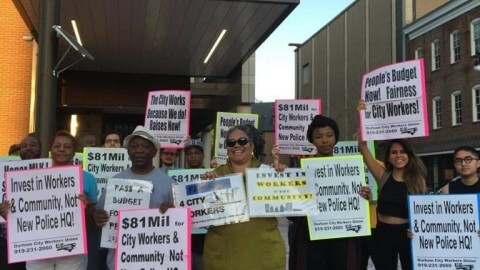 UE Local 150 fights every day to improve the lives of public workers across North Carolina.